On November 10, 1950, Lou Boudreau (Cedar Rapids Raiders – 1938) was fired by the Cleveland Indians amidst a large amount of public protest. Boudreau had compiled a .529 winning percentage as the Indians manager and led the team to the 1948 World Series championship. He went on to manage the Red Sox and Athletics. 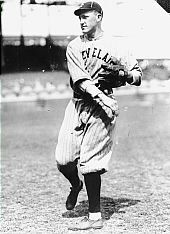 On October 10, 1920, Bill Wambsganss (Cedar Rapids Bunnies 1913-14) turned the only unassisted triple play in World Series history as the Indians defeated the Brooklyn Robins 8-1 at Dunn Field. It was the second unassisted triple play in major league baseball history and there have only been 15 seen in MLB history. Wambsganss went 1-5 at the plate and scored a run in the win. The first unassisted triple play also has a Cedar Rapids connection. 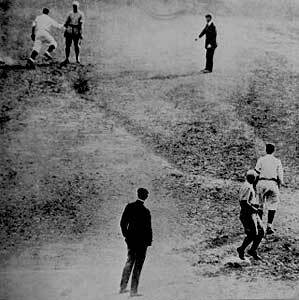 Neal Ball (Cedar Rapids Bunnies – 1904) turned the first recorded MLB triple play on July 19, 1909 and added a home run in the same inning to lead the Cleveland Naps to a 6-1 win over the Boston Red Sox. 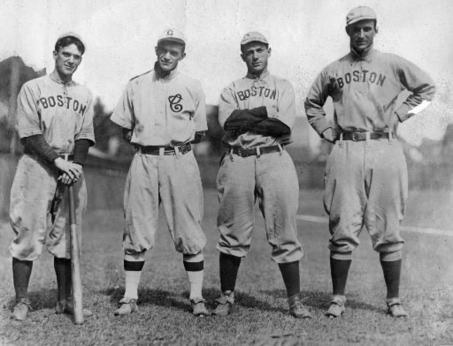 Cleveland Naps shortstop Neal Ball (second from left) poses with (from left) Amby McConnell, Heinie Wagner and Jack Stahl of Boston after Ball made big-league baseball’s first unassisted triple play on July 19, 1909. Bill Wambsganss hit .259 with 7 HR and 520 RBI during his 13-year MLB career playing for the Cleveland Indians, Boston Red Sox and Philadelphia Athletics. Bill Wambsganss hit .234 in 67 games for the 1913 Cedar Rapids Bunnies and then hit .317 in 84 games for the 1914 Bunnies squad managed by Belden Hill. the team finished 59-65 in 1913 and then posted a 65-59 mark in 1914 in the Central Association. On October 6, 2008, John Lackey (Cedar Rapids Kernels– 2000) worked seven innings while allowing two runs to earn a no decision as the Angels fell to the Boston Red Sox 3-2 in game four of the American League Divisional Series. Lackey struck out one while allowing one walk and seven hits. John Lackey has posted a 128-94 record with a 4.10 ERA thus far during his 10 year MLB career playing for the Angels and Red Sox. John Lackey posted a 3-2 record with a 2.08 ERA in five starts with the 2000 Cedar Rapids Kernels. The Kernels finished in 13th place with a record of 53-86 under managers Mitch Seone and Tyrone Boykin. On September 28, 1951, Allie Reynolds (Cedar Rapids Raiders -1940-41) became just the second pitcher in MLB history to throw two no hitters in a season by shutting down the Red Sox 8-0 and clinched a tie for the pennant with the effort. Reynolds struck out nine batters while allowing four walks in the win. The game’s finish had added drama as Ted Williams was the final batter Reynolds faced. Yogi Berra dropped a pop foul for strike two. Williams once again popped up the following pitch and Berra caught it for the final out. There are only three other Cedar Rapids Alumni with major league no-hitters (Bob Forsch-2, Jerry Reuss and Ervin Santana). On August 28, 1926, Dutch Levsen (Cedar Rapids Bunnies – 1923) became the last player in MLB history to pitch complete game victories in both ends of a doubleheader leading the Cleveland Indians to a 6-1 win with a four hitter in game one. He followed that with a 5-1 win in game two over the Boston Red Sox once again scattering four hits throughout the game. Levsen had a career year in 1926 posting a 16-13 record with a 3.41 ERA. Dutch Levsen, a Wyoming, IA native, attended Iowa State University prior to becoming a member of the 1923 Cedar Rapids Bunnies team. Levsen went 19-4 in 25 games as the Bunnies finished 69-56 under manager Bill Speas to finish 3rd in the Mississippi Valley League. 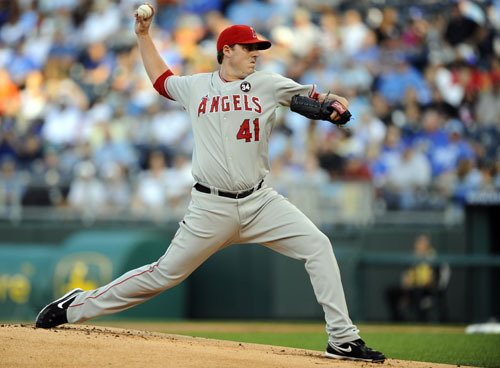 On August 19, 2007, Joe Saunders (2002) worked 7 2/3 innings at Fenway to help the Angels defeat the Red Sox 3-1. Saunders struck out seven while allowing six hits, two walks and one earned run to earn the win. Joe Saunders has compiled a 65-49 mark with a 4.22 ERA and was selected to the 2008 American League All-Star team. Saunders is currently a member of the Diamondbacks starting rotation. 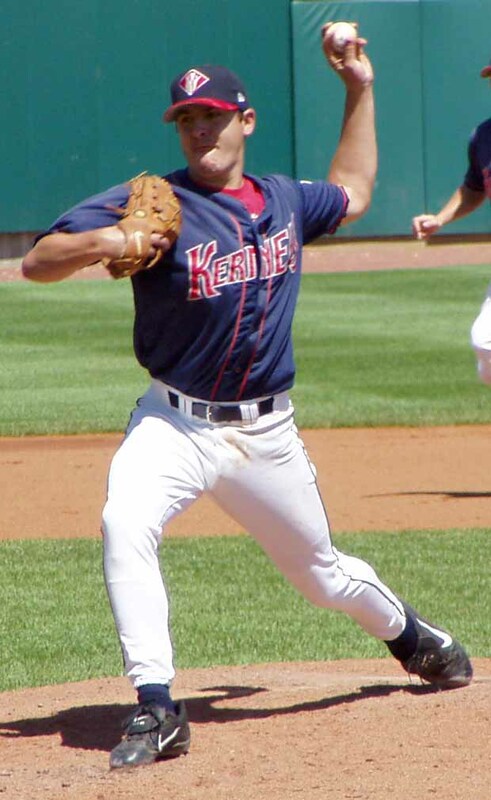 Joe Saunders was part of the 2002 Kernels team that finished 3rd with a mark of 81-58 under manager Todd Claus. The 2002 team swept Quad Cities in the opening round of the playoffs before falling to Peoria in the second round. Saunders was 3-1 with a 1.88 ERA in five starts for the Kernels. He struck out 27 batters in 28 2/3 innings of work. 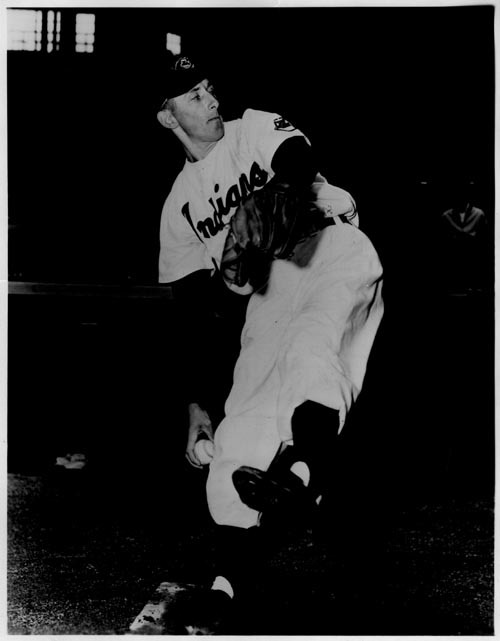 On July 27, 1957, Ray Narleski (Cedar Rapids Indians – 1950) pitched a complete game to lead the Cleveland Indians to a 7-2 win over the Boston Red Sox at Fenway. Narleski struck out eight while allowing seven hits, four walks and two runs to earn the win. Ray Narleski went 43-33 with a 3.60 ERA during his six year MLB career playing for the Cleveland Indians and Detroit Tigers. 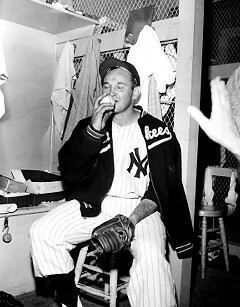 The two-time all-star led the American League with 19 saves and 60 appearance in 1955 while posting a 9-1 mark. Narleski finished his career with 58 saves and 17 complete games. Ray Narleski was a member of the 1950 Cedar Rapids Indians squad that posted a 59-67 record under manager Billy Jurges. Narleski was 9-5 with a 3.57 ERA in 17 games playing in Cedar Rapids. On July 25, 1959, Bud Daley (Cedar Rapids Indians – 1952) pitched a complete game shutout to lead the Kansas City Athletics to a 3-0 win over the Boston Red Sox. Daley struck out seven while allowing four hits and three walks in the game. Bud Daley was 60-64 with an ERA of 4.03 during his ten year career with the Indians, Athletics and Yankees. 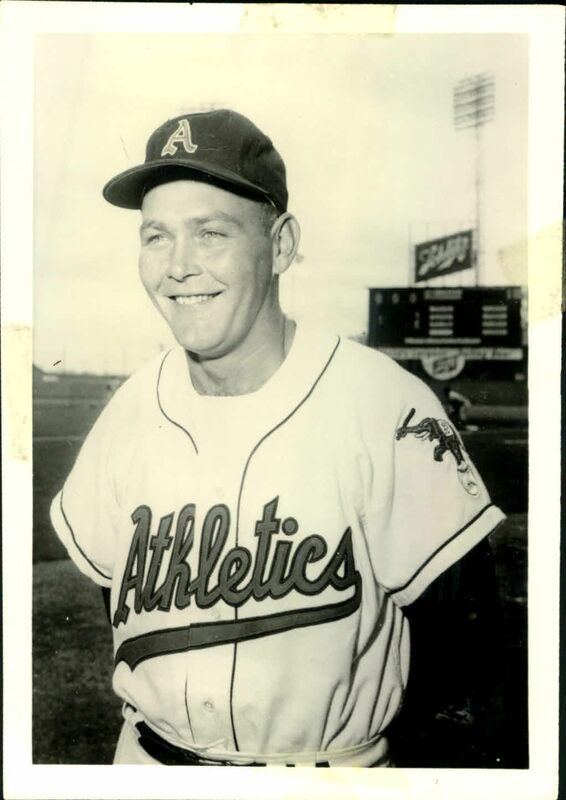 He tallied 25 complete games during the 1959 and 1960 seasons for the Athletics including three shutouts. Daley was 14-9 with a 3.09 ERA for the 1952 Cedar Rapids Indians. He struck out 198 batters in 227 innings of work that season as the Indians finished 53-71. 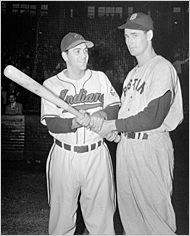 On July 14, 1946, Lou Boudreau (Cedar Rapids Raiders – 1938) went 5-5 at the plate with a HR, 4 RBI, 4 doubles and scored three runs, but the Cleveland Indians fell 11-10 to Ted Williams and the Boston Red Sox. Williams hit three HR in the first game of that day’s doubleheader. Boudreau, the Indians player-manager installed a defensive shift each time Williams came to bat in the day’s second game moving almost his entire team to the right side of the field. 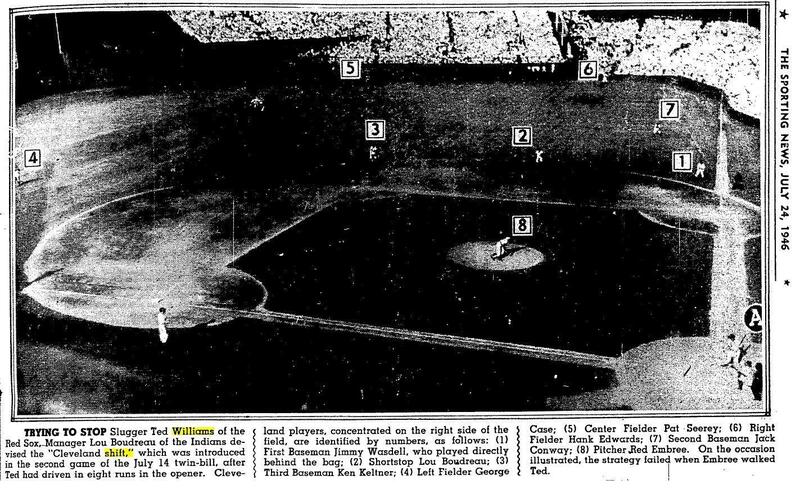 Boudreau, the Indians shortstop, put the third baseman behind second base, shifted himself to the right of second base, had the second baseman move into short right field and closer to first base and had the first baseman move closer to the line. He also had the center fielder play closer to right and the right fielder guard the foul line. The only player remaining on the left side was the left fielder who was positioned behind the shortstop’s normal area. The strategy became known as the Williams shift and has been used in recent years in less extreme versions against hitters know to pull the ball a lot. Williams went 1-2 with two walks and a double in the game. Cedar Rapids alumni were everywhere in the game. Bill Zuber (Cedar Rapids Bunnies – 1932) earned the win striking out seven batters in 7 2/3 innings of work while allowing three runs. Red Embree (Cedar Rapids Raiders – 1940) took the loss for the Indians. Hank Edwards (Cedar Rapids Raiders – 1941) went 2-5 with a double, a RBI and scored a run and Pat Seerey (Cedar Rapids Raiders – 1942) was 1-4 with a walk for the Indians in the loss.